Can a person have high anxiety – or panic – without any awareness of what triggers it? Yes. And, current thinking is that this can take place because the individual has little or no view of his or her internal thought processes. UCLA professor of psychiatry Dan Siegel M.D. calls the ability to view internal thought processes “mindsight”. Marsha Linehan, who created DBT, calls it “mindfulness”. Some have attributed the ability to view ones own internal processes as the work of the “observing ego”. I suspect, based on what I have read on this subject, that having an observing ego (or whatever part of the self that notes what goes on inside) can be a source of distress. All of us have conflict within. But if we can find a way to avoid knowning about it, we can avoid feeling conflicted. Psychologist recognize that conflict is not only normal, but essential. We all have conflicts. We all have interests, needs, and desires, and it is simply impossible to have a number of interests, needs, and desires without being led by them simultaneously in different directions. Though it is uncomfortable to be aware of these conflicting interests, needs, and desires, we need to be aware of them in order to prioritize our day-to-day living in a way that is in our best interest. But many of us – if not most of us – find awareness of conflict profoundly disturbing, so disturbing that we seek to avoid awareness of the conflict going on inside. The greater ability we develop to be unaware of the conflict going on inside, the less we are aware of what we are going to do ahead of actually doing it. And, the less we are aware that anxiety about conflict is building into high anxiety about conflict. And when high anxiety about conflict builds even higher – without awareness that this process is underway – further building results in panic. Note that we often speak, not of panic, but of panic attack. It is as if panic came out of nowhere and attacked us. Indeed, if we do not have mindsight, mindfulness, or an observing ego minding the store, feelings build up. If we are mindful when feelings begin to build, there is a good chance we can identify the cause and make an adjustment or adaptation. But if we are not mindful, the end result can be panic which appears to be from no cause at all. Or, it can seem that the panic was not caused by anything we can get a handle on. A great deal of emotion is caused, whether we are aware of it or not, by images. In the use of the Strengthening Exercise for flight anxiety, we connect potentially distressing images to a powerful positive emotional experience from a treasured memory. But can we have anxiety that is not connected with images? Yes. There are two possibilities. But neither is flight anxiety. First is what Freud called “signal anxiety”. Think of it this way. Let’s assume something awful happens, something so awful you vow to yourself you never are going to let yourself feel that way again. What do you do? You “repress” that memory. It is as if you have – inside – a box where you store that memory away out of sight. As time goes on, more awful things happen, and you put more memories in the box. In time, it becomes “Pandora’s Box”. The problem with Pandora’s Box is, if it is allowed to open, all the many memories hidden away in there suddenly are made aware again, causing terrible distress. So, we need to keep the Box closed. How? Let’s imagine assign some part of ourselves to hold the lid closed, and to constantly monitor the situation. Let’s suppose next, that we are in a certain situation, for example, a place where we are confined and cannot immediately leave. Let’s next suppose that one – or more – of the memories in the Box are about something awful that happened where we were confined and could not escape. Notice the association: both the present situation and the memory of the past event involve being confined and unable to escape. Well, the mind works based on association. Thus, the present situation begins to cause the earlier situation to be recalled. As the earlier situation starts to be recalled, it beings to open the Box. The part of our self which we assigned to monitor the Box and keep it closed becomes alarmed. This is “signal anxiety”, a signal that there is an emergency in progress; the Box which must be kept closed is starting to open. The “signal anxiety” gives you the message that something where you are in is causing the Box to open, so you need to go someplace different to keep the Box from opening. Signal anxiety about just one thing in the Box will trigger one shot of stress hormones and gently urge you to go elsewhere. One shot of stress hormones takes you, on a scale of zero to ten, to a two or three. If there are two or three things in the Box, you get two or three shots of stress hormones, you go from four to six on the scale. That means high anxiety that you need to go elsewhere. But if there are a half dozen things about to escape from the Box, that takes you to ten, which is panic. But let’s finish the Greek myth. In the story, Pandora allows the Box to open and all the terrible things stored in there are loose, and great distress is caused. But then, Pandora’s husband notices there is still one more thing in the Box, and it has a voice, which is saying, “Open, open, and I will heal your wounds! Please let me out!” Pandora is encouraged to open the Box again, but she is reluctant because of the terrible results of allowing it to open the first time. But when she does, healing – in fact – takes place. That is what therapy is about. We have huge anxiety that we must not open the Box. When we finally go to therapy, the client is asked by the therapist to open the Box. And sure enough, painful things emerge, and there is a strong desire to re-close the Box and keep it closed. It is only when the last item is finally let out of the Box that healing takes place. I said there were two possibilities. What is the other one? 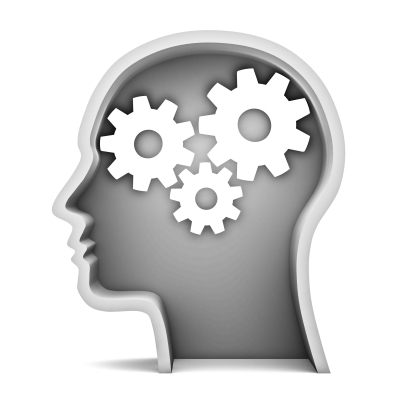 There are two components of memory, a. the implicit component, and b. the explicit component. The implicit component is the feelings component. The explicit component is the informational component, who, what, when, where, how, etc. We, as adults, expect every memory to have both components. When we remember some event that took place with a certain person, what we did, where we did it, how we did it, and how it felt. But when a memory is painful, the feeling component can get separated from the information component. If that happens, we may be able to say what happened, but recall no feeling about what happened. But if the feeling component is separated from the information, what happens if just the feeling component is recalled? If it is a split-off feeling component from some awful event, we become anxious or sad, but have no idea why. What we know is, when truly horrendous events take place, this the feelings and the data can easily become separated. This opens the door to intense anxiety and sadness for no apparent reason. But there is more. Most of us don’t remember much prior to the age of five. It is around five that the part of the brain that records explicit information in memory begins to work reliably. But what about the implicit component, feelings? The answer is shocking! The part of the mind that stores feelings in memory is mature at birth! This means that we potentially can remember the feelings we had when we were put to bed alone to cry it out, but when we have those feelings triggered, we have no idea these feelings are about being put to bed alone; we just feel awful, perhaps overwhelmed, perhaps helpless, perhaps hopelessly abandoned . . . and have no idea whatsoever why. When implicit memory is triggered which is not paired with its explicit component, this is called a “flashback”. That may be a strange thing to call it when the person having the feeling has no idea is has anything to do with something “back” in the past, but it does, and that is why we use that term. This eliminates the craziness of thinking you are going crazy because you are feeling things that make no sense. The sense of it is, all the feelings we had in the first five years of life are recorded inside us, and can be triggered without any associated data as to who, what, when, where, or how. How does this related to the Strengthening Exercise for flight anxiety? Flight anxiety is ALWAYS connected to images. However, you CAN experience thee other types of anxiety when flying, which – of course – can lead you to believe it is flight anxiety when it is, in fact, signal anxiety having to do with Pandora’s Box, or it is anxiety based on an implicit (feeling) memory that is not well-connected with explicit information about the memory. These non-flight anxiety anxieties can certainly add to flight anxiety and thus increase the total anxiety load. But if we simply focus on the flight anxiety, and defeat it, thereafter when you fly you are only subject to the same anxiety you have day in and day out in your usual daily routine.